Japan's Osaka Prefecture welcomed a record number of foreign travelers in 2017. A total of 11.11 million travelers visited the prefacture according to the Osaka Convention and Tourism Bureau. According to the statistics, the prefecture marked the first time over 10 million mark; achieved a 18% increase from 2016. The prefecture recorded 1.19 trillion yen profit (US$10.74 billion) from tourists spend that was an increase of 311.7 billion yen (US$2.81 billion) compared to 2016. Hiroshi Mizohata commented that in order to further enhance tourists' spending, the prefecture needed to promote more nighttime entertainment spots, as well as sports, massage and beauty services and make sightseeing an around-the-clock proposition. 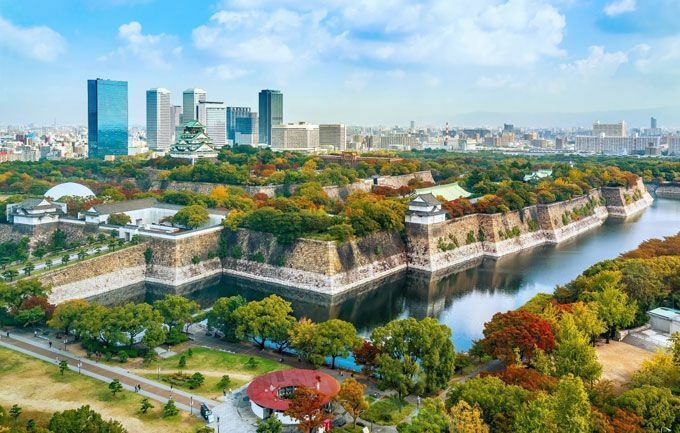 Visitors from Chinese mainland, South Korea, China's Taiwan and Hong Kong comprised the largest percentage of Osaka-bound tourists at around 77 percent of total visitors, with those from Chinese mainland topping the group with 4.02 million visitors. Those from South Korea visiting the region showed a significant uptick in the recording period, with 2.41 million visitors, which was an increase of 53 percent on year and marked the largest increase of visitors from anywhere outside of Japan, the bureau announced. By 2020, when Tokyo will host the Olympic and Paralympic Games, the tourist bureau expects to welcome over 13 million foreign tourists to the prefecture. Meanwhile, the Japan Tourism Agency announced that the number of foreign tourists visiting Japan hit a record 28,690,000 in 2017, which was an increase of 19.3 percent compared to 2016. Total spending by visitors to Japan rose to a record 4.42 trillion yen (US$39.91 billion), with guests from Chinese mainland spending the most, followed by those from China's Taiwan and then tourists from South Korea. The tourism agency noted that spending by Chinese visitors topped that of those visiting from the United States and European countries.